I know! I know… It’s been a while! But hey, I will make it up to you! The title of this post says it all. Today I’ll be reviewing and comparing two beauty products, that I think every girl SHOULD own. Doesn’t matter whether you have a foundation or not. EVERYONE needs a tinted moisturizer! To those of you who don’t know what a Tinted Moisturizer is. Tinted moisturizer is a facial make up which moisturizes your skin along with giving it the coverage of a foundation with a super lightweight, build-able solution that includes an SPF protectant. Now, I’ve tried two tinted moisturizers. The Dior ‘Pro-Youth Skin Tint’ in 2 and Laura Mercier ‘Tinted Moisturizer’ in Almond. As far as the HydraLife Skin Tint is concerned, it covered the uneven skin tone very well but it accentuated the presence of any pimple that I had! Especially since I have little tiny bumps next to my nose. That’s because the finish of the Skin Tint is a bit reminiscent of vinyl – shiny, in a bad way. If you have enlarged pores or hyperpigmentation, the Skin TInt will work for you. If you, however, have acne or other skin texture issues, avoid the Skin Tint! Hydra Life really does moisturize my skin very well but it leaves a sheer glossy film on my skin, which some people like and some people don’t, and I happen to fall under the latter. Apart from the irksome finish, it’s undertones are a little different than the LM Tinted Moisturizer. The HL Skin Tint had a more orang-ish undertone and made me look slightly tanner. Though I gotta give it credit for the spf 20 and for lasting through out the day! o! My favourite part has finally come! The LM Tinted Moisturizer has always been my favourite substitute for a daily foundation. 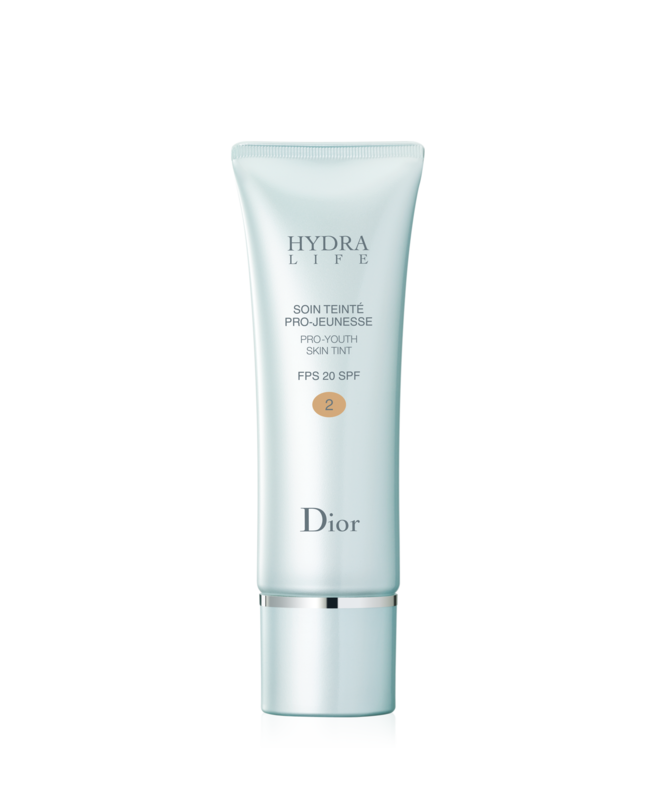 It has spf 20 and is light weight, and build-able [as opposed to Dior HL Skin Tint]. It left my skin radiant and dewy but not glossy. As far as the undertone goes, it has a more neutral tone to it, which explains why it looks more natural than the Dior HL Skin tint. In a nutshell, I am very satisfied with my LM Tinted Moisturizer, but it’s a shame that it’s not available in UAE (I bought mine from Malaysia last summer). However, I still think that Dior HL Skin Tint would make the cut for the closest thing available to LM Tinted Moisturizer. Hey lovelies! In today’s post I’ll be reviewing a product which I tried out! Well, first off. I’ve been using a cleanser that stripped down all the natural oil from my skin and felt tight after using. And I’ve tried 3 different cleansers this year! Yes. I thought I’d never find one that would actually work! But my sister who just brought in the ‘Thalgo’ spa line in her Beauty Centre! And I’ve been going there for facial every so often and I gotta tell ya, my skin has never felt/looked this good in my LIFE. 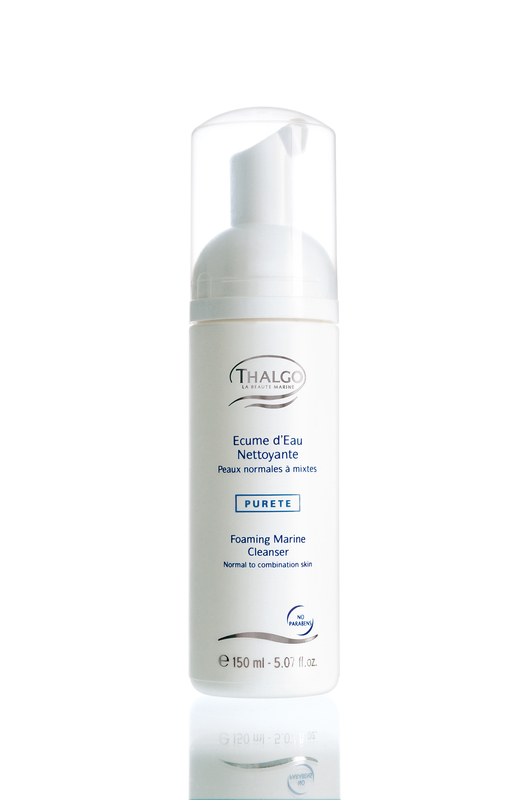 But anyways, once day, my sister gave me her ‘Thalgo Foaming Marine Cleanser‘ to try out! Even though I’ve used it only 3 times, I gotta tell you guys… It’s the best thing that happened to my face. Okay, apart from those facials. The cleanser does EXACTLY what it claims. It comes as a foam, which can be dispensed with a pump, all you need is to, take a pump in your fingers and massage it throughly into your skin. Then rinse away with lukewarm water, and pat! And Voila! You’ve got yourself a clean, makeup-less, and fresh face! Now this cleanser is made for ‘Normal to combination skin’. As for me, I have combination skin, which is why I found that my skin responded the best to it! Let’s not forget it has nutrients that feed your skin too!